Roberley Bell’s artistic work is inspired by nature and time. Her practice draws on the world around her, in particular the scrutiny of nature and the built environment. She spent her childhood in Latin America and Southeast Asia and holds an MFA from SUNY - Alfred. She is the recipient of many fellowships including the New York Foundation for the Arts, a Pollock Krasner Fellowship, and a Senior Scholar Fulbright to Turkey. Her Fulbright project The City as The Site of Intervention resulted in a series of projects in public spaces. Currently, a Fulbright specialist leading walking workshops internationally; recent workshops have been held in Sharjah, UAE, Istanbul, Turkey and Malmö, Sweden. She has also received several residency awards, both nationally and internationally, including Sculpture Space and the International Studio Program. Internationally she has had residencies at the Stadt künstlerhaus, Salzburg, Austria where she completed the book A Borrowed View, and the National Center for Contemporary Art, Kaliningrad, Russia. 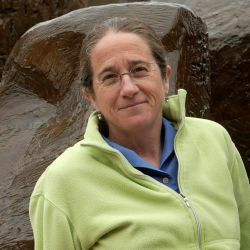 Bell’s work has been exhibited internationally and she has completed numerous public projects.